up guy and start being a husband. 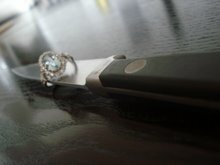 I set up this blog as a place for women-and men-to visit when they need advice as well as the validation that being married to a ghost isn't all that crazy. I've heard testimonials from women who have entered the site then come to a mini epiphany, "My chef isn't the only one who smells up the hamper like fresh grouper and onions?" It was a harmonious place hear with stories of struggles and sacrifice, accomplishments and awards. But then came THE MAN. Mr. Chefhusband came on the scene with the same complaints and fears as any of us. But some of you brutalized and crucified him with sarcastic and nasty comments. Two separate comments declared that he must "be a man" or "man up". WHAAAT? I know you didn't just say that in 2009, on MLK weekend, a few days before we elect our first black president! Maybe I'm getting carried away, probably not though. 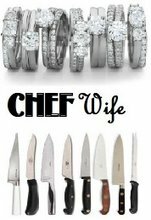 So, because Mr. Chefhusband is a male he should deal with the miserable marriage that's clearly not working for him? And because the majority of us are women we can harp on and on, complaining to each other, setting up blogs and forums dedicated to supporting each other? Why isn't he allowed the same right? A man, a woman, gay, straight? I didn't set this blog up as a place for criticism against our fellow chefswives OR chefshusbands. If you are lonely at home, feeling neglected, and questioning your marriage to a chef-then this is the place for you. 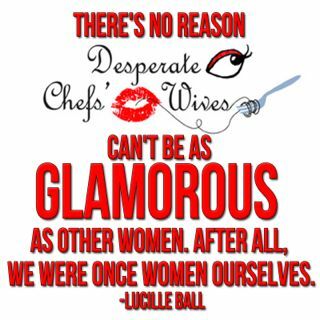 However, if you are only interested in harming others who are married to chefs, then please-leave. I understand the risks of saying something like this on a blog that hardly generates enough traffic as it is. I'd rather have a supportive, positive blog with 2 viewers than one with destructive comments generating million visitors a day. Plus, you never know who might run a story on this homegrown blog. thanks for that message, hillary. its been a stressful month here and with some talking, a little counseling, and some time together, things are looking up. anywho - i will stay on this lil blog here and maybe learn some things.